We should all know by now that the rumor mill which surrounds Apple and its products will never stop. As soon as a product is launched, the speculation regarding its replacement begins and continues for the next twelve months until we actually see the launch happening in front of us. 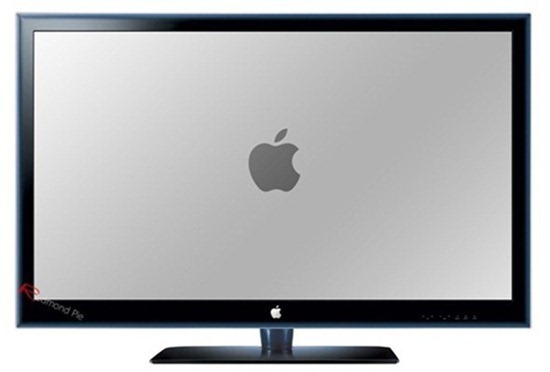 One of the latest and most persistent rumors surrounds Apple’s intention to release a branded physical television set which some have dubbed the ‘iTV’. The television speculation has been growing for a number of years, but has intensified recently due to links with certain component manufacturers which have prompted experts and analysts to go out on a limb and say the product is definitely coming in 2012. US analyst Gene Munster believes that Apple have struck deals with a number of high profile component manufacturers which will see the company launch the product within this calendar year. We believe that Apple only enters mature markets with the goal of revolutionizing them, as it did with the smartphone. Without a revamped television content solution, we do not think Apple enters the TV market… Apple enters markets to reinvent them. His theory on the situation seems sound, considering it as a well known fact that Apple strives to do things better than existing solutions. So just how could the Cupertino company reinvent the television, considering it is such an established product? Munster believes that by offering premium pay-as-you-go content along with web-infused content and a new and unique discovery engine, Apple can succeed in their mission. One previous rumor which adds even more fuel to this iTV speculation is the fact that Apple have been said to be bidding for the rights to the Barclays Premier League, competing against the likes of BSKYB and ESPN which would almost guarantee an immediate customer base in the United Kingdom. Munster has been wrong in previous predictions about this speculative product when stated that the television set would arrive in 2011, but the fact that the last few months have churned up more rumors than ever before and the addition of component manufacturers speaking out about the deal means that 2012 could be the year we see TV being reinvented.